And just like that, my blog is all caught up. I am very happy with this painting. I think mostly because it is a pretty accurate representation of my house. I did this view in the spring and I was not at all happy with it. 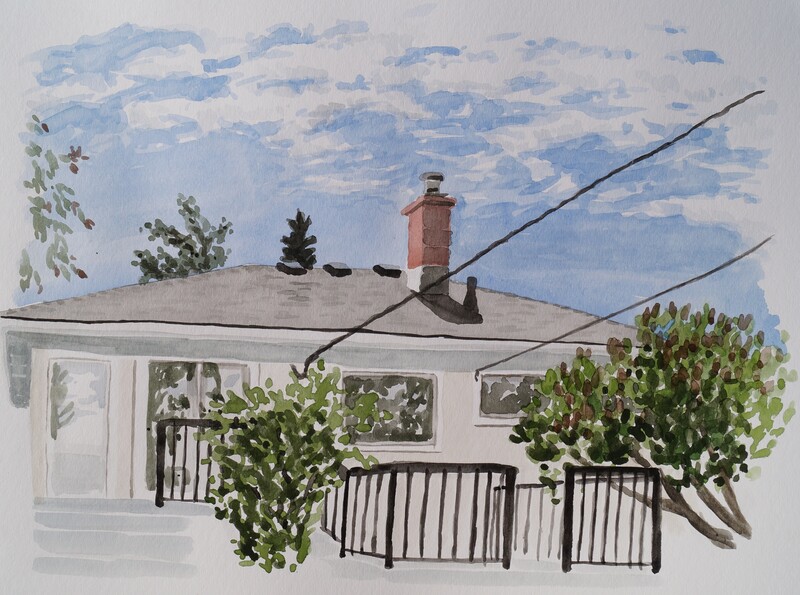 This time I took my time to get the proportions of the house right before I started blocking in colour, and I also included the power lines to the house. 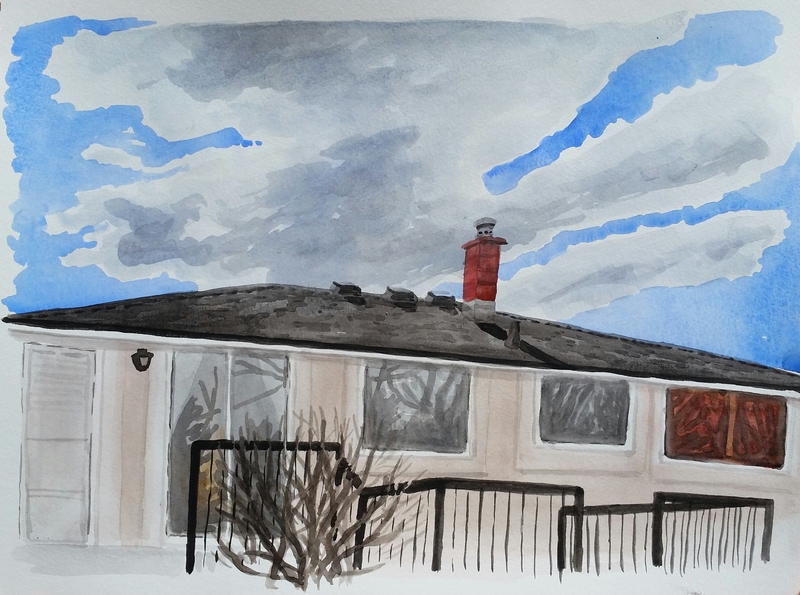 I did decide not to put in all the deck furniture–it was getting a bit confusing with all the railings so I left the bottom half of the painting a bit simpler. Plus I was sitting in direct sunlight for two hours while I did this–I can only take so much of that. Here is the springtime painting for comparison. These are all lovely.. And my solar lamps are beautiful. Such intricate patterns in the lamp painting.